Back before electronic music caught on with mainstream American audiences, it was going through a major creative renaissance in France in the late ’90s. Artists like Daft Punk and Cassius were defining the sub-genre known as nu-disco, or French touch. Another artist at the beginning of the movement was Sven Løve, whose story is told in the new film Eden, directed by his sister Mia Hansen-Løve. 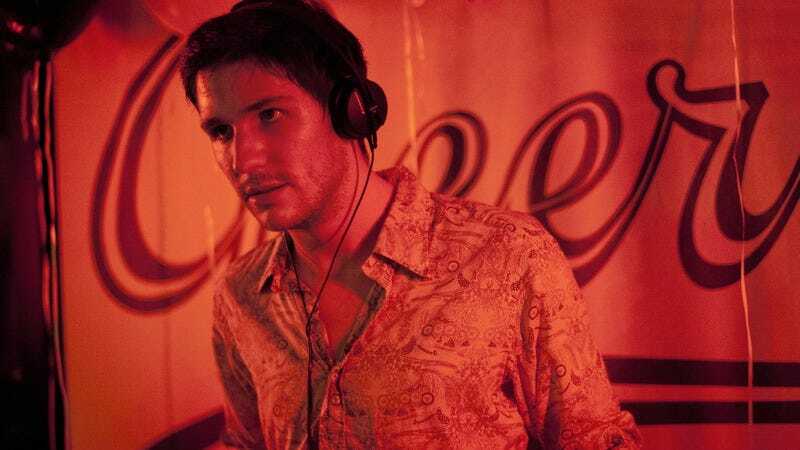 Unsurprisingly, a film focusing on French electronic music has a killer soundtrack, featuring a number of musicians whose output defined a specific time and place. In support of the film’s upcoming U.S. release this week, The A.V. Club is giving away five copies of the soundtrack as well as a full-size film poster signed by Sven Løve and the film’s star, Félix de Givry. For your chance to win an Eden prize bundle, featuring the soundtrack and poster, simply send an email to avcontests@theonion.com with the subject line “Eden.” Be sure to include your name and mailing address in the body of the email. U.S. Entrants only. On Wednesday, June 24, we’ll select five winners at random from eligible entries and email them shortly thereafter. An official plot synopsis and trailer for the film can be found below.